NOTE: Please ensure to have a survey carried out by a Gas Safe Register registered gas installer to check and certify the compatibility of your intended location and circumstances with this stove before making any purchase to avoid disappointment. 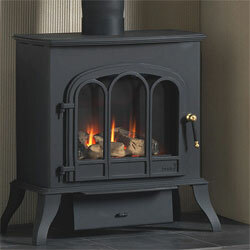 All the information contained in the website is to assist in your choice of a suitable fire. This is not intended to be all the information required to install your fire. This can be obtained from burley themselves.